(although the wet form usually progresses much more rapidly). It can exist in one or both eyes and is most common in people who are over fifty years of age and usually presents itself as mild vision changes in older adults. There are many options for macular degeneration treatment, although none of them can cure or reverse the condition. 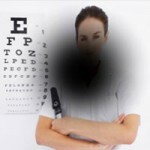 Treatments can however slow the progression of the condition and reduce some of the symptoms of macular degeneration. You might be surprised that vitamins are actually frequently used as treatment for stymieing the progress of dry macular degeneration. Adding beta carotene, vitamin C, E, zinc and a bit of copper are all employed to benefit eye health and contribute to the slowing of vision damage. Taking these vitamins will not cure dry macular degeneration. But, they may not only help slow the speed of vision loss, they may also be useful to protect an unaffected eye. It’s also possible that your doctor will recommend dietary changes in addition to vitamin supplements in order to incorporate more eye-healthy nutrition into your daily meals. This will include adding fresh fruits and vegetables with high vitamin and mineral content as well as foods that can provide Omega 3s and lutein, compounds being studied for their potential contributions to eye health. Advanced cases of dry macular degeneration may require surgery to improve vision. Telescopic lenses can be implanted in to the eye and this lens can improve vision. Of course, macular degeneration surgery is expensive and can be potentially risky, which is why it is reserved for a smaller, select group of people. Recent years have brought on the addition of a newer form of treatment in injectables, medications that are inserted directly into the eye. This new and advancing technology however is only useful to treat the wet version of the condition. However, this breakthrough (albeit an uncomfortable endeavor for recipients to say the least) has led to the exploration of other treatment options for dry macular degeneration such as eye drops, that are being tested for safety and effectiveness currently. Determining the proper course of treatment for your condition will depend on several factors, with the stage of degradation of your vision being only one part of the bigger picture that will determine the care that is appropriate for you. For instance, those with underlying health problems or conditions that can make circumstances unsafe are likely to be unable to have surgery as treatment. Others can find the use of supplements risky due to existing health concerns. Regardless, your doctor is the best suited to discuss treatment options with you. He or she will evaluate not just your eyes, but your whole health history to create options that are going to give you the best chance of slowing vision loss progression, with as little health risk to you as possible.